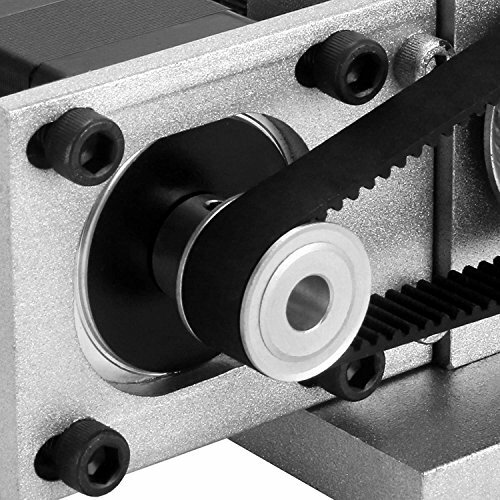 Product prices and availability are accurate as of 2019-04-15 00:18:26 EDT and are subject to change. Any price and availability information displayed on http://www.amazon.com/ at the time of purchase will apply to the purchase of this product. 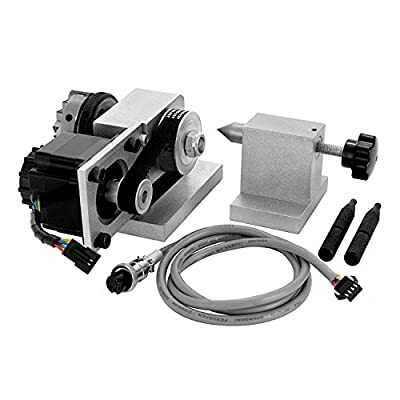 The rotational rotary axis with A-axis, 4th-axis,3-Jaw and Tail stock is used for the Engraving Machine.Four-axis engraving machine increase the fourth axis - the rotation axis, based on the ordinary plane three-axis engraving machine. 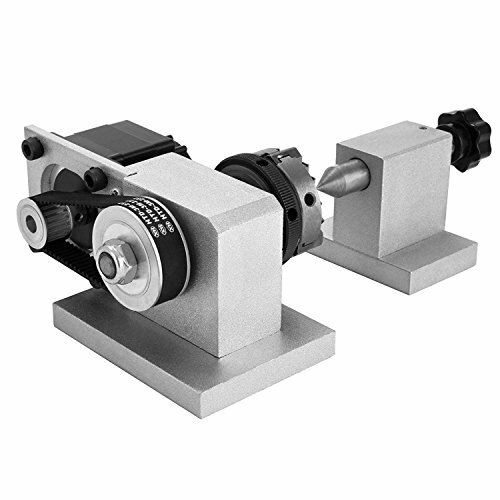 Because the rotary movement of the fourth rotary axis, it is available for the stereoscopic process for a cylindrical, curved, round and etc. Four-axis engraving machine is widely used in the scroll, stigma, bamboo and so on so like. 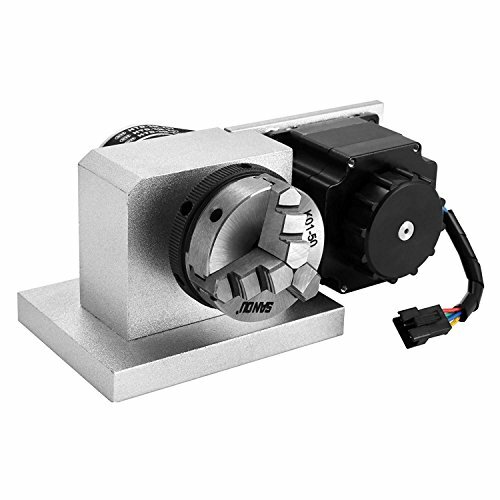 Dimension of the router rotary axis: 150 x 110 x 84mm(5.9 x 4.3 x 3.3inch);Chuck center height: 49mm;Self-centering chuck Drive ratio: 1: 2;Stepping working: 600 pulses/360 degrees Stainless anti-dust cover 4th-axis, 3-Jaw and Tail stock rotational rotary axis Four-axis engraving machine increase the fourth axis - the rotation axis, based on the ordinary plane three-axis engraving machine The rotary movement with the fourth rotary axis can be available for the stereoscopic process for a cylindrical, curved, round and etc. 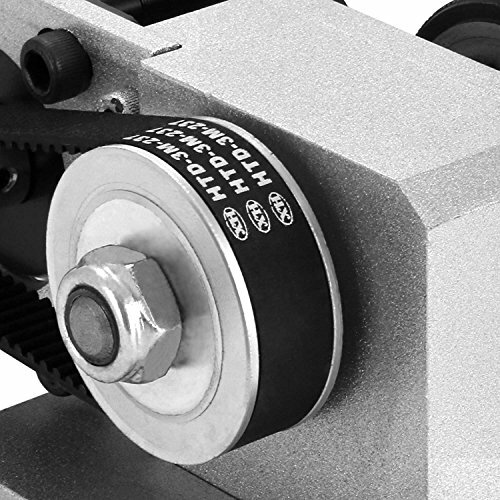 Four-axis engraving machine is widely used in the scroll, stigma, bamboo and so on.